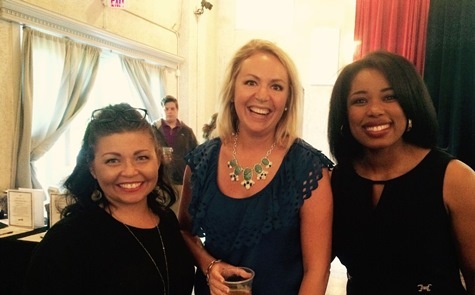 United Way of Wyandotte County celebrates local companies and volunteers – Welcome to Wyandotte Daily! 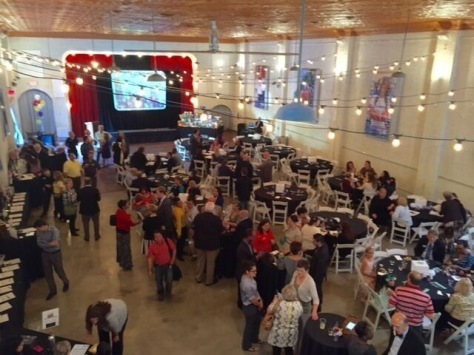 There was a festive spirit Thursday, May 12, inside the Vox Theatre in Kansas City, Kan., during United Way of Wyandotte County’s annual campaign celebration event. 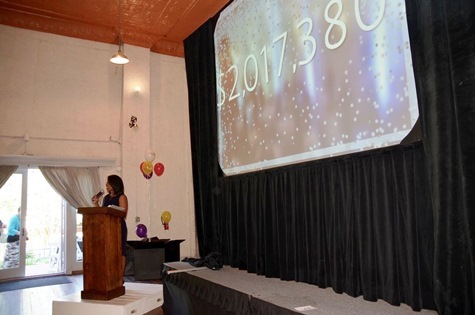 More than 230 people gathered to celebrate the local companies and volunteers that raised funds throughout the 2015/2016 fiscal year campaign. The campaign’s projected total is $2,017,380, and there are still campaign dollars coming in, according to officials. Guests enjoyed food and beverages while emcee Mary Pulley, Fox 4 news anchor and UWWC board member, announced the campaign’s accomplishments. Local companies honored included: Kellogg Company, Berkel and Co., Providence Medical Center, First Legends Bank, Geiger Ready Mix, Rental City, Glazier, L.G. Barcus, Community First Bank, and Garsite. UWWC also honored two of their nonprofit partner agencies that saw an increase in their workplace campaign; Mental Health America of the Heartland and El Centro Inc.
One of those partnerships was highlighted through the current volunteer campaign chair, Bill Johnson, a Board of Public Utilities employee and UWWC board member. Johnson addressed the crowd thanking local companies for their commitment to Wyandotte County. 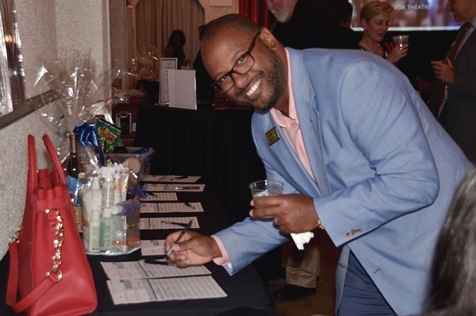 “I really enjoyed working with companies and folks I’ve met through BPU in a way that benefits our community,” Johnson said. Johnson also introduced the new 2016-2017 volunteer campaign chair, Sheriff Don Ash. 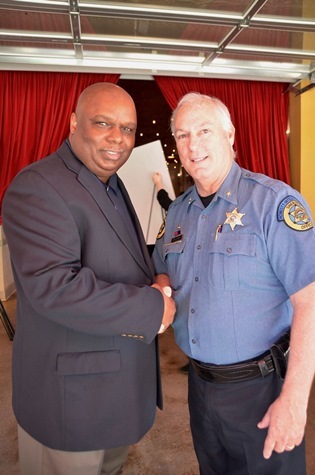 Sheriff Ash received a roar of applause as he committed over the next year to work hard to raise even more funds to support human services programming in Wyandotte County. 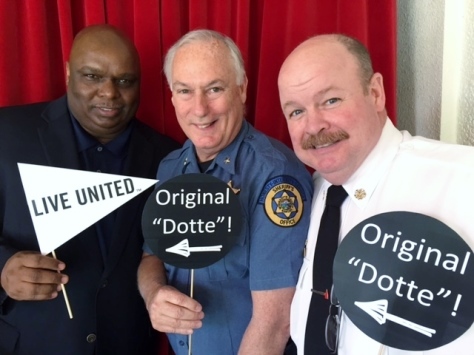 To find out more about United Way of Wyandotte County visit www.unitedway-wyco.org. Current and new volunteer campaign chair’s Bill Johnson of the Board of Public Utilities and Sheriff Don Ash with Chief John Paul Jones of the Kansas City, Kan., Fire Department. 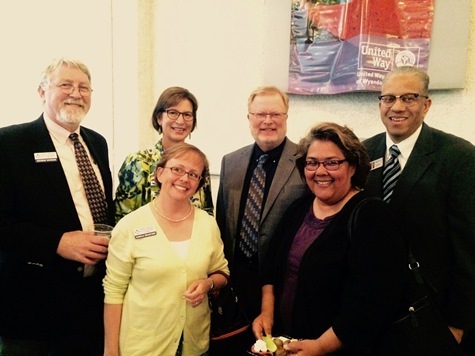 (Photo from United Way of Wyandotte County).